Ratings and reviews are the insignias of our age: we all love to tell the world about the places we like to go, the things we like to do, the music we love, the sentiments we approve of. More importantly, we love to talk about what we don’t like about these things, whether it’s about how our meal tasted, what our sandwich looked like or how we were treated. Nothing is exempt, it seems. Restaurants, medical clinics, mechanics — they’re all fair game. We may feel good about supporting the businesses we love, but we seem to enjoy giving them a dressing down even more. Posting a bad review allows us to prove that we have skin in the game. We flex our consumer-muscle and show the rest of the world (and the unsuspecting business) that our voice matters — because it does. 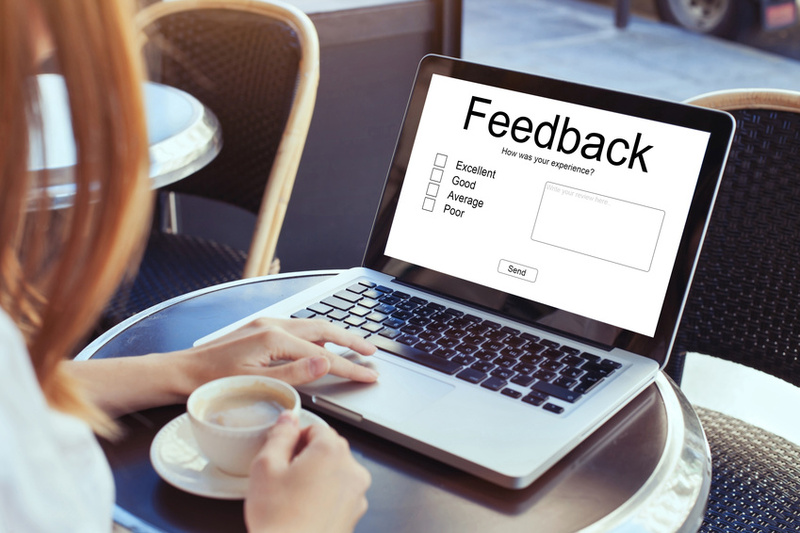 In fact, a recent study found that 97 percent of consumers read online reviews, and 85 percent of them trust these reviews more than a recommendation from a friend. Positive reviews help build trust in a company and a whopping 49 percent of customers say that they look for a minimum of 4-star review averages before they purchase. Unfortunately, professional organizations are not exempt from this trend, nor are employers in any industry. Job seekers today are actively using Glassdoor as part of their search to help them develop opinions about companies, to research salaries, and to find out about what it’s like to work there. Once they are on the other side of the fence, they also want to share their experiences so that others may be better informed. In 2014, it was estimated that about half of all job seekers used Glassdoor. Now, the number is closer to 90 percent. Somewhere between one third and one-half of all candidates that use the service report that they won’t even consider an employer if they have less than a three-star rating, so it’s easy to see how these black marks can tank your chances of landing quality talent during the recruitment process. And Glassdoor is not the only platform you have to worry about. LinkedIn, Twitter, Facebook, Medium, Indeed — just about anywhere on the web that you can post can be a forum for poor experiences, each one a veritable hotbed of heated discussion with the potential to tank your good name. While the reviews aren’t always bad, occasionally, a particularly dreadful one will go viral and bring a barrage of negativity raining down so badly that it will affect a company’s profitability as well as their reputation. It would seem that a person scorned is ready and willing to do as much damage as they can. Once the word is out, the domino effect of bad press could make an already challenging recruiting landscape even more difficult. If attracting top talent is a priority — and in the highly competitive landscape of life sciences, talent is arguably everything — it is more important than ever that you do everything you can to protect your brand and your reputation. This means taking a page from some of the most successful brands in the consumer marketplace: make sure negative reviews don’t get a chance to happen. It would seem that if there appears to be a trend of negative feedback, a candidate will move on to the next company. While most review sites allow you to respond to comments, in some situations there likely isn’t a whole lot you can say to position yourself as the hero. For instance, if you get eviscerated in a review by a former employee who was terminated for cause, it would probably not look great for you to clarify the situation too much, even if it was true. By law, personnel files are confidential, and you could get your company into a world of trouble by responding to their scathing review by saying “Mr. Brown was let go because he was lazy and never finished his work,” you might be setting yourself up for a libel suit or worse. It’s a double-standard for sure, but even though they’ve done their best to make you look bad, there’s not a lot you can say in rebuttal. That said, deciding not to respond can have consequences as well. You must choose your responses carefully and consider the letter of the law as well as any privacy issues. Is It Legal? Or Is It Libel? On some social platforms, such as Facebook, for instance, negative reviews can be removed because you control the page and its content. However, sites like Glassdoor can be more difficult to change as the comments are largely anonymous. If the comments are damaging and untrue, you do have recourse, but sometimes the process can take months and by then, the damage may be done. On the other hand, people have the legal right to complain about working conditions and rights violations and if they choose to do so in a public forum or on the web, they are free to do so. If, however, these points are at issue, you have a much bigger problem than just a rogue employee. Policies around online posting are far easier to enforce when the person is still in your employ. Once they are gone, you lose that control so the best thing you can do is to stop bad situations from happening in the first place. An ounce of prevention could stop a bad situation from becoming worse for everybody. Paying attention to negative posts is a good start but trying to make sure that they don’t happen in the first place is really the best policy. Protecting your brand begins with the establishment of a company policy around brand protection. You should set forth clear guidelines that prevent employees from posting negative remarks or comments that are contrary to your values and culture. Though you do want to avoid getting into an online war with a former employee, giving them fair warning that there will be consequences may give them pause. In this case, you would not be violating their privacy because the posts would be widely available online and so not private. Most of your employees will understand that negative statements online don’t just make the company look bad, they make them look bad too. A good example of this would be an individual who took to the web to complain about her salary as well as the company she was working for. She was fired the same day the post went live and even though she may have had a very good point about her salary’s disparity, it came off as petty, immature, and whiny. Had she addressed the situation through the proper channels, she may have had a different response. She certainly wouldn’t have had to endure the public shaming that ensued or the embarrassment of losing her job because she was unable to get her message across to the people who could have instigated the much-needed change. On the HR side of the discussion, most hiring managers agree that a candidate that bad-mouths their former companies or employees comes off as immature, discriminatory, and shows a lack of judgment. If these traits are visible from the start, it is only likely to get worse over time. In the case of being asked for a reference to support a former employee who was known to engage in negative discussions about your company, don’t hesitate to reveal that the individual was involved in such activities. You are under no obligation divulge the nature of the comments and can leave it up to the new employer to do the research and find out for themselves, but it is your responsibility to protect your company’s reputation. As for the employee, you should always make sure that they have access to the outlets they need to discuss any pressing concerns before they get out of control. If they don’t take you up on it, be sure you have the right safeguards in place to help you maintain your position in case of an unfortunate incident. Asking about salary history during the hiring process is actually illegal in some states. Not astonishingly, this means that when it comes time to make an offer, there might be some surprises. The need to get in line with the rules has, however, fueled some interesting and progressive initiatives from some of the world’s biggest companies. Amazon, for instance, is planning to hire in excess of 100K new employees this year to power up new locations in the United States. Hiring managers will not be asking for a previous salary, no matter what state regulations might apply. Meant to level the playing field, there are some that feel this will be harmful to some groups — especially women. Is the Salary Disclosure Law Limiting Us? Without the ability to negotiate or push back when a disparity is identified, candidates might be at a disadvantage. When it comes time to finalize the offer, this approach might derail the entire process, wasting a great deal of time and effort and causing a ripple effect of frustration from HR right up to the C-Suite. As a hiring manager, you can’t talk about salary history. If you don’t talk about salary, everybody will be surprised at the end of the recruiting process. At the offer stage, many companies will make a standard offer based either on what the job pays or on the current marketplace. This removes the negotiation process, which at times must be competitive if you are to win the talent you need. You have put the question to them in a hypothetical manner and have not asked about their salary history. It’s a simple yes-or-no question that they are not required to elaborate on. You can then listen to their response and observe their physical reactions to get a sense of which way they are leaning. By employing this technique, you have put your cards on the table and you have left some room to negotiate. Using this method, you have discovered much about where you and your candidate stand. You have neither broken any rules nor put anybody in an uncomfortable position. It is a flexible yet quantitative method that simply requires a slightly different technique than you might be used to. In the end, you are still responsible for ensuring equal pay for women, minorities, and other protected groups. That doesn’t mean, however, that each candidate should have access to the same pay regardless of their experience and skill level. This method allows you to work within the parameters of the law while accomplishing your hiring goals.